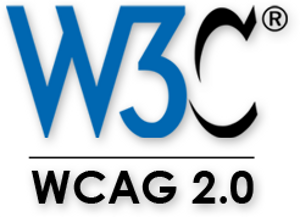 The Web Content Accessibility Guidelines (WCAG) are a set of globally recognized and accepted standards that outline what it means to be compliant with accessibility standards and present interactions to a user without sacrificing clarity or information. These guidelines are broken out into three levels of increasingly rigorous standards: A, AA, and AAA. Each level corresponds to the level of compliance a product or site adheres to. Level A is a pragmatic standard to set in our Best Practices, although we push for AA when budget and our control over design allows. This is because having control over design elements like color contrast and HTML in a responsive environment are critical to achieving AA compliance and may require more time for testing and iteration. Ensuring all HTML elements and API implementations are aligned with the W3C specification. To support this baseline for our Best Practices, all 10up projects are run through an automated accessibility check. Our internal choice for continuous accessibility testing is a command line tool called Pa11y. Pa11y allows for quick accessibility testing through the command line. This means we can run periodic tests on any site at any time as well as keeping an eye on compliance during the build process to ensure that accessibility is always in full view of the engineer.